Gotta love when our courier company steps up to the plate with a high quality alternative to plastic waste! 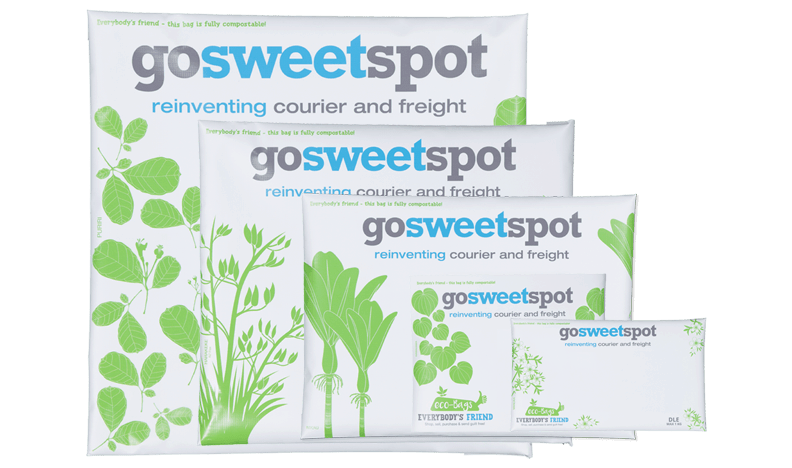 We’ve been trying to find an alternative for a long time now, and what do you know, the awesome team at GoSweetSpot released these! These bags are fully compostable, meaning they don’t need oxygen to break down, even in a landfill situation. Additionally, they’re not plastic (they’re made from corn starch) so they won’t pose a threat to wildlife either. The new eco-bags will be starting to ship out as soon as our old plastic bags run out! We’re all about recycling and we use recycled packaging wherever possible, and this is just one more step in the right direction to a sustainable environment! Great stuff! !